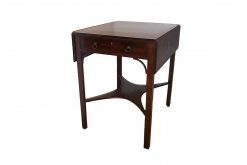 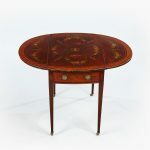 19th Century mahogany and rosewood pembroke table with satinwood banding. 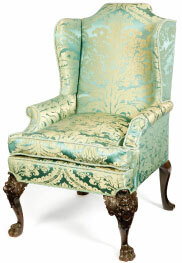 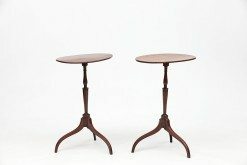 Hand-painted with two drawers and brass pulls, supported on boxwood legs on brass mounted castors. 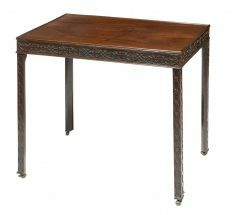 Stamped Edward and Roberts, Oxford St. London. 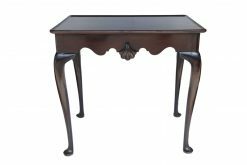 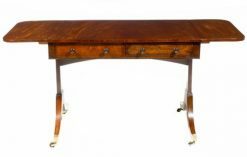 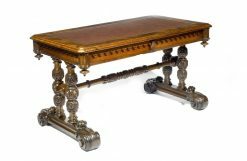 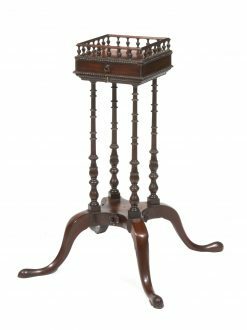 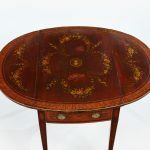 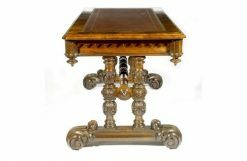 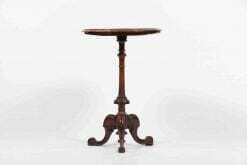 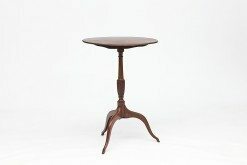 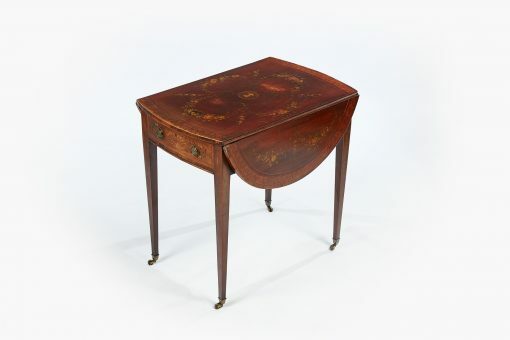 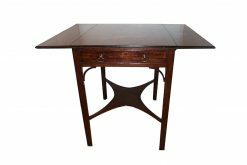 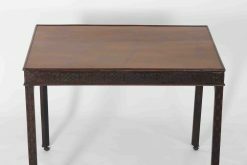 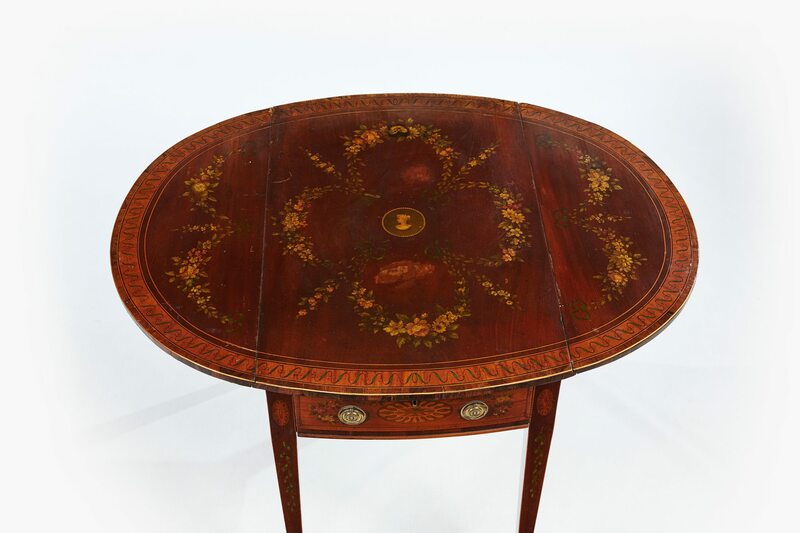 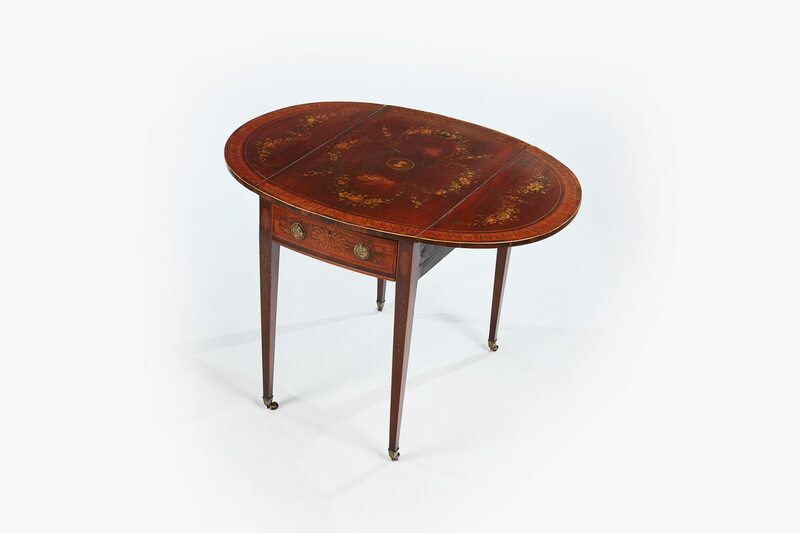 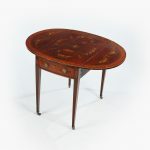 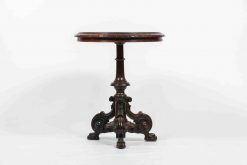 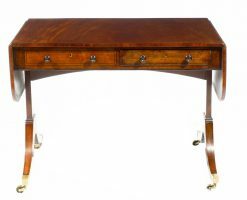 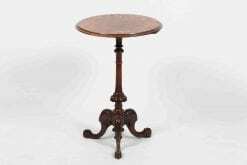 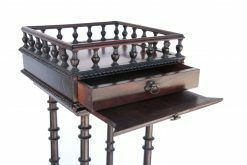 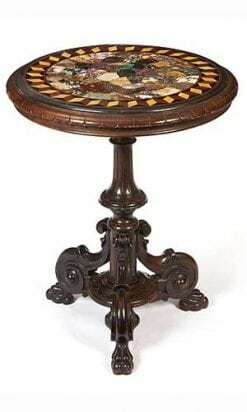 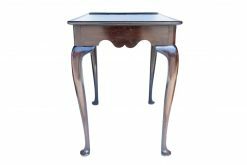 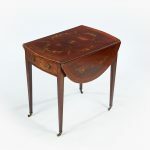 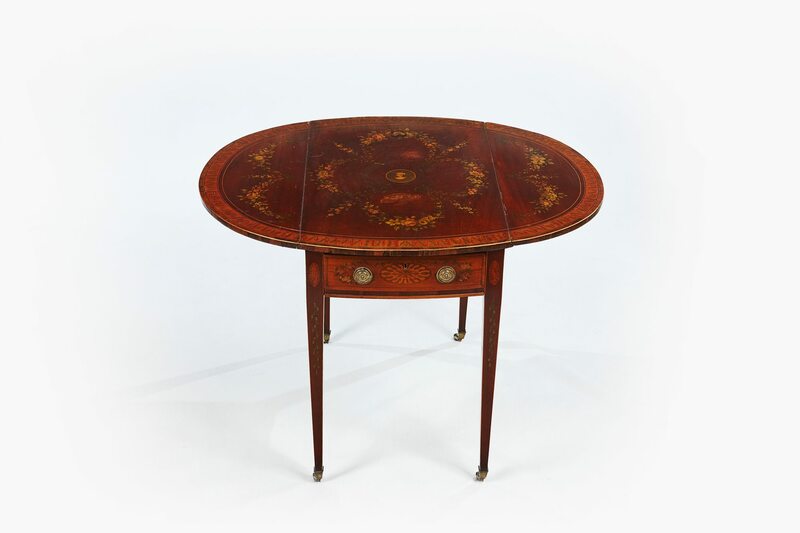 To enquiry about "9921 – 19th Century Mahogany and Rosewood Hand Painted Pembroke Table by Edward and Roberts, London", please complete the below form.